Beyond North Lake Tahoe’s world-class skiing and riding, winding mountain trails and crisp blue waters is an underground music scene. 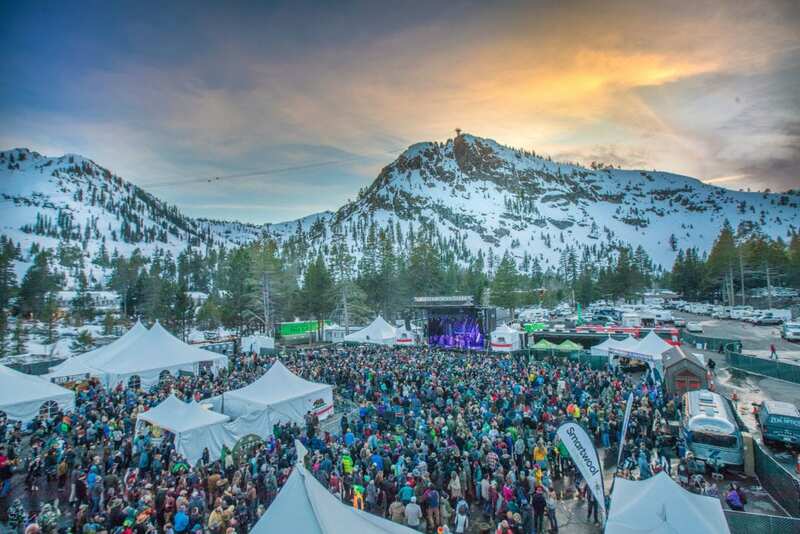 Every April, visitors flock to the snow-covered Sierra for hip-shakin’, beer-tastin’ rhythm and bluegrass. The fourth annual WinterWonderGrass Festival from April 6–8 celebrates over 25 bluegrass bands across multiple stages at Squaw Valley. It brings concert junkies from valley floor to treetop heights with popup “tram jam” sessions in Squaw’s Aerial Tram. By day, the event invites beer-sippers and families of all ages, with interactive tents for each—and by night, the festival disperses into boutique locales for intimate listening. 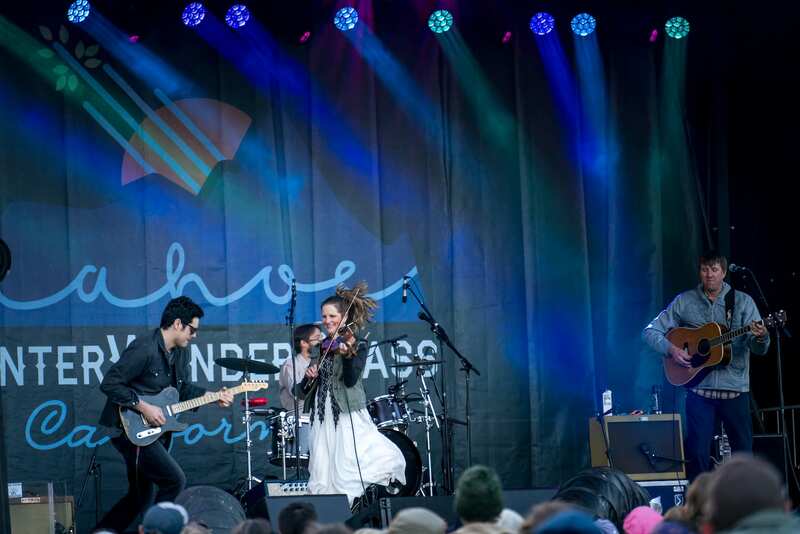 More spectacular than music and brews is the experiential element of jamming in the snow—and singer-songwriter Jenni Charles knows it best. 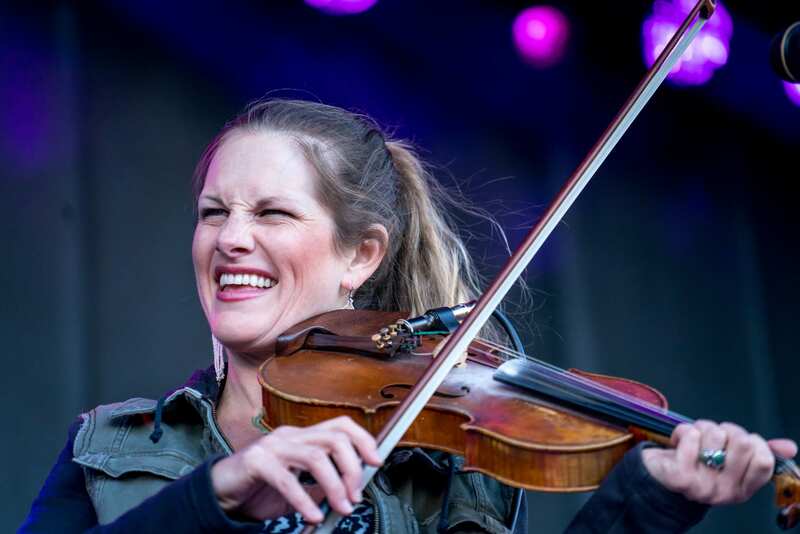 Fiddle player and vocalist of Dead Winter Carpenters, and a WinterWonderGrass Festival performer in 2015, 2016 and 2017, Charles began her musical career at age 5. The North Lake Tahoe local catalyzed the region’s bluegrass scene in 2010 when the Dead Winter Carpenters formed. Along with her husband and fellow band member, Jesse Dunn, the band tours nationally but calls North Lake Tahoe their home stage. “I’ve played in music festivals my whole life, and there’s something about North Lake Tahoe that gives me the same butterfly thrill as when I stepped onto my first major stage,” says Charles. Charles’ involvement with the WinterWonderGrass Festival, and the regional and national music scene, landed her a spot as a 2017–18 Local Luminary—an original docu-series that showcases the lives and energy of North Lake Tahoe from the local’s perspective. As a poster child of music and motherhood, Charles’ nature embodies authentic WinterWonderGrass—rooted in family, music and local flavor. “When you get to sing with every depth of your soul and see your own breath against the cold air, it’s magical. WinterWonderGrass is a unique experience that everyone should get to enjoy,” says Charles. This year’s headliners include The Devil Makes Three, Railroad Earth and The Infamous Stringdusters—infusing country, punk, folk and bluegrass edge. Similarly, Sierra Nevada Brewing Co. headlines as the 2018 beer sponsor among 20 other California and Nevada breweries. WinterWonderGrass imbues authentic Tahoe life. From powerful acoustic roots to shredding the tracks of an Olympian, it encapsulates the region’s connection with outdoor recreation, family and the arts. For more information about the WinterWonderGrass Festival, go to winterwondergrasstahoe.com. Amber Burke is the North Lake Tahoe Events & Communication Manager.